Over the last several weeks, we’ve looked at the “general welfare,” “necessary and proper,” and “commerce” clauses, three constitutional provisions often used by progressives to expand federal power, and we established what those clauses actually mean. While liberal constitutional interpreters abuse those clauses, scholars and politicians have utterly disregarded the proper understanding of war powers. This should cause Americans a great deal of concern, because as James Madison pointed out, war poses the gravest threat to personal liberties. These two roles stand separate and distinct from one another. Congress makes the decision to enter into war. The president then has the authority to prosecute the war, within the limits Congress places on him. The designation of commander in chief does not delegate the president any power to take America into war or initiate any offensive military expeditions. 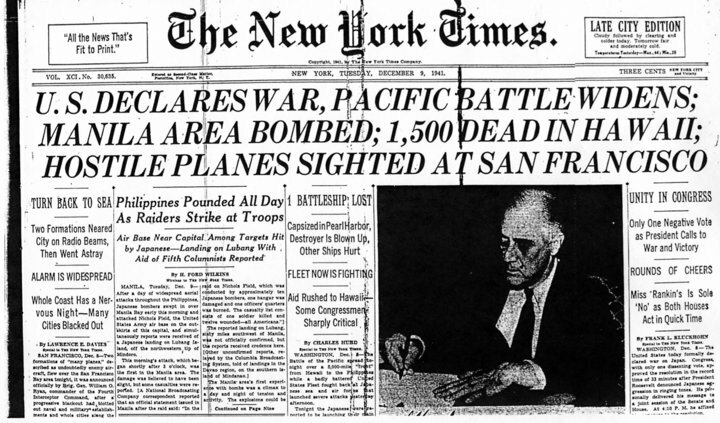 Note that even after the Japanese attacked Pearl Harbor, Pres. Roosevelt still needed a declaration of war to initiate further action against the Japanese. Founding-era discussion on war powers makes it clear that the framers and ratifiers wanted the authority to take America into war placed in the legislative branch because it was the deliberative body most closely representing the will of the people. They did not want the authority to drag the U.S. into war placed at the discretion of one individual. Madison makes this clear in a letter to Thomas Jefferson. The constitution supposes, what the History of all Governments demonstrates, that the Executive is the branch of power most interested in war, & most prone to it. It has accordingly with studied care, vested the question of war in the Legislature. George Washington recognized this limitation on his power as he was contemplating an offensive war with the Creek nation in 1793. In a letter to William Moultrie, the president emphasized he would need congressional approval to initiate action. Madison wrote in detail about war powers in his Letters of Helvidius. Modern presidents have circumvented the requirement to declare war by appealing to the War Powers Act of 1973, which allows the president to send troops into action for up to 90 days before getting congressional approval. They also rely on broad authorizations to use force passed by Congress. Basically, these resolutions allow the president to decide if and when he wants to take military action. But the War Powers Act and congressional resolutions simply don’t pass constitutional muster. First, no constitutional provision authorizes Congress to pass off its delegated power to the president. In fact, doing so violates basic rules of construction. In contract law, when a principal (the people) delegates power to an agent (the federal government) that entity cannot transfer the power to another party without specific direction. No such authorization exists. So, Congress can’t simply give the president a blank slate to make a decision on war based on his own discretion. Congress must make that call and make it specifically before initiation of military action. Second, they violate the spirit of the separation of powers. Remember, the framers and ratifiers wanted the decision to go to war left in the hands of a deliberative body – the representatives of the people – not in the hands of a single individual. The War Powers Act does the exact opposite allowing the president to act without any congressional approval beforehand, and resolutions give him broad authority to decide when and if he wants to act. This does not encompass the type of deliberation the founders envisioned.